Facebook has suspended a US-based analytics firm while it investigates concerns about the collection and sharing of user data. 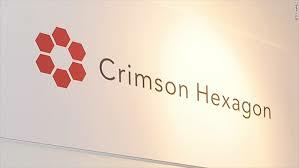 According to the Wall Street Journal, Crimson Hexagon has "contracts to analyse public Facebook data for clients including a Russian nonprofit with ties to the Kremlin and multiple US government agencies”. "People can share their information with developers on Facebook and Instagram - just as they can when they download an app on their phone,” said Ime Archibong, Facebook’s head of partnerships. He said developers were allowed to "use public or aggregated information to produce anonymised insights for business purpose”. Crimson Hexagon did not respond to requests for comment. In a blog entry posted by the firm on Friday, its chief technology officer Chris Bingham defended the company’s work - without specifically mentioning Facebook’s investigation. "Crimson Hexagon only collects publicly available social media data that anyone can access,” he wrote, seeking to distance his firm from Cambridge Analytica, the firm which allegedly used an app to scrape private data from the network. A spokesman for Facebook told the BBC the firm had already spoken with Crimson Hexagon, and the firms are due to meet in the coming days.